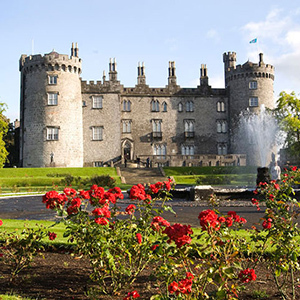 A trip fit for Kings & Queens. 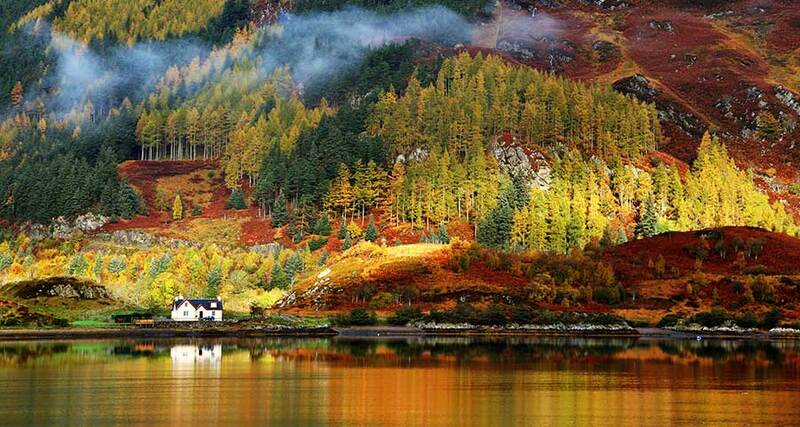 Immerse yourself in the majestic history and the splendor of Scotland’s landscape. 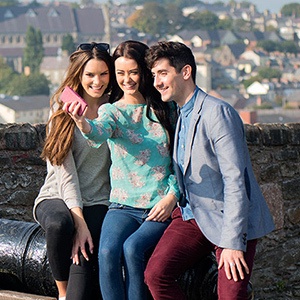 "To say our group had an awesome time on our trip would be the understatement of the century." 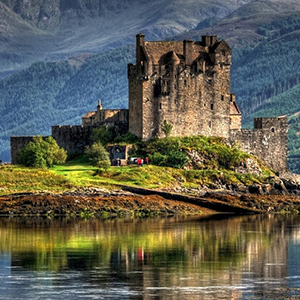 Scotland is a land rich with history, legend, romance and mystery. 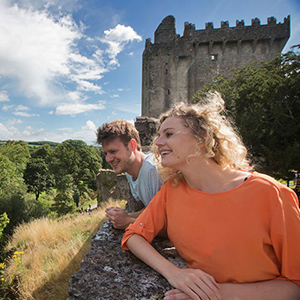 While you stay in luxury country manors, explore castles, pre-historic ruins, and medieval abbeys amid the rugged beauty of the highlands and the wild magnificence of the coastline. Maybe you will get to see the elusive Loch Ness Monster! In Edinburgh stroll the Royal Mile, once reserved for royalty only. From fascinating museums to legendary castles to stunning scenery, Royal Scotland is a tour brimming with Scottish treasures! 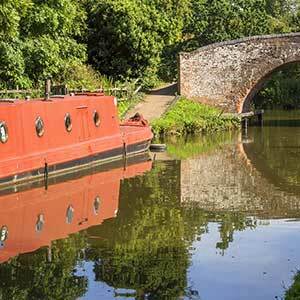 8-nights luxury hotel accommodation with private en suite facilities. 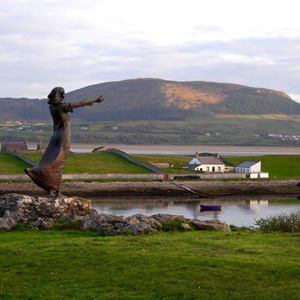 Private airport transfers on day of arrival and departure. 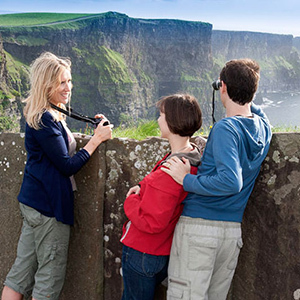 Services of a professional private Driver Guide for 7-Days OR Car rental including unlimited miles and CDW Insurance. 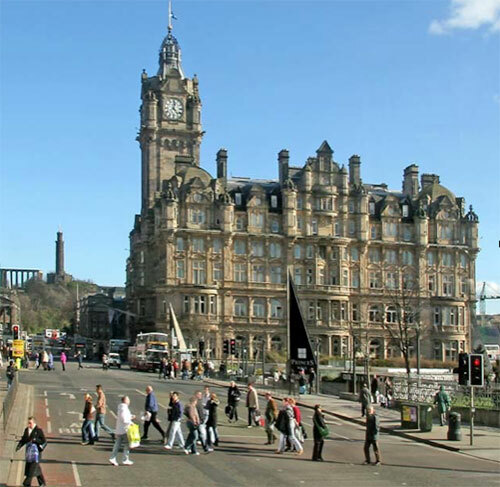 Arriving in Edinburgh Airport, enjoy a private transfer to the heart of Edinburgh city where you will stay 2 nights at The Balmoral Hotel. The celebrated Scottish writer Robert Louis Stevenson wrote in the nineteenth century, “Edinburgh is what Paris ought to be.” It is still a majestic city memorable for the grace and beauty of the neo-classical Georgian New Town and the unique medieval street layout of Old Town. Dominating the skyline, and perched on Castle Rock, is Edinburgh Castle. 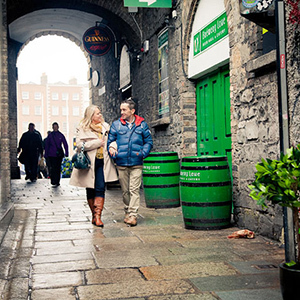 Settle into your new surroundings and enjoy a leisurely walk through this culturally rich city. 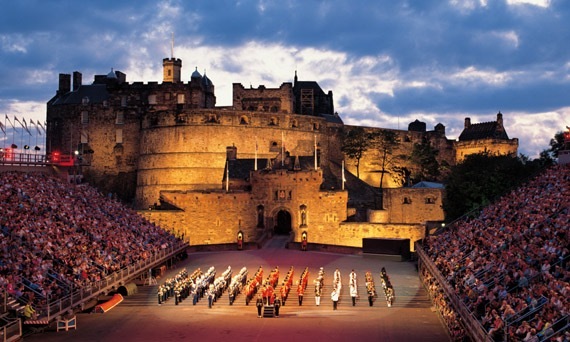 After breakfast, visit Edinburgh Castle and see the Scottish Crown Jewels and the Palace of Holyroodhouse. Founded as a monastery in 1128, Holyrood Palace in Edinburgh is the Queen’s official residence in Scotland. Situated at the end of the Royal Mile, Holyrood Palace is closely associated with Scotland’s turbulent past. One of its most famous residents was the ill-fated Mary, Queen of Scots, who lived there from 1561 to her forced abdication in 1567. 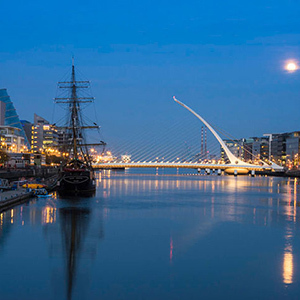 We recommend taking a ‘Hop on, Hop off’ bus tour of the city. 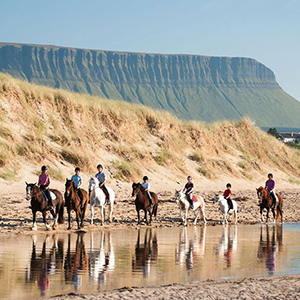 It’s a fantastic way to get around and see all the best sights! 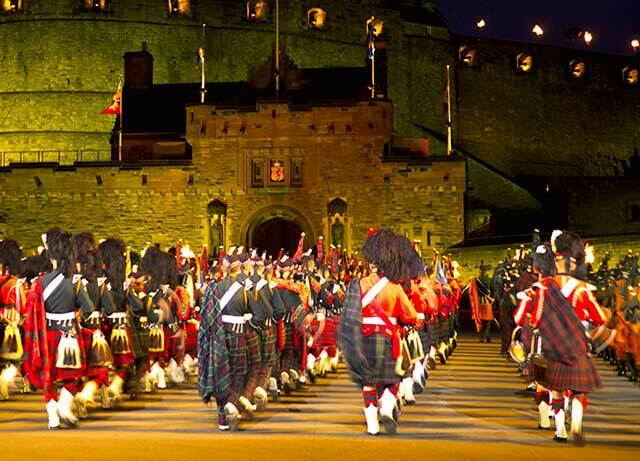 If visiting in August attend the magnificent Military Tattoo, an experience not to be missed. Today, pick up your rental car or meet your driver guide. Drive north to Inverness. 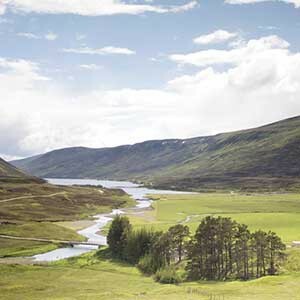 Visit Perth and the Palace of Scone, Pitlochry and Blair Castle, Loch Garten and Cairngorm Mountain. Many Scottish kings were crowned on the Stone of Destiny at Scone Palace. Today, Perth is a bustling city of around 50,000 inhabitants. 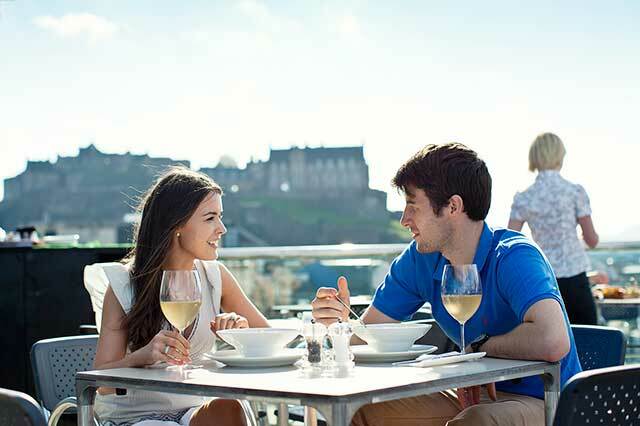 It offers a range of entertainment, shops, cafés and restaurants and is recognized as one of Scotland’s premier culinary centers. 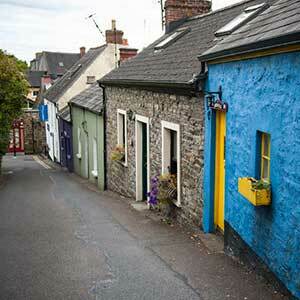 Stay 2-nights at the Kingsmills Inn. 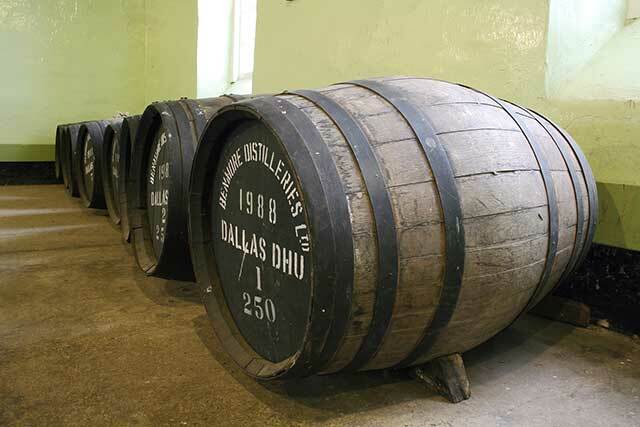 Tour the surrounding area including the Culloden Battlefield site, Clava Cairns, Cawdor and Brodie Castles and the Dallas Dhu Distillery. The Battle of Culloden on 16 April 1746 was the final confrontation of the Jacobite rising of 1745. Jacobite forces fighting to reclaim the British throne for a Stuart King clashed with loyalist troops. The Hanoverian victory halted the Jacobite intent to overthrow the House of Hanover. 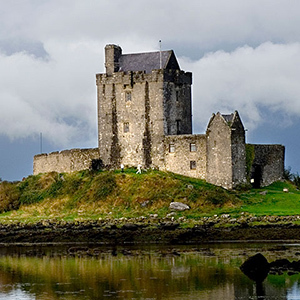 In Scotland this ferocious war divided families, setting clan against clan. Travel south via Loch Ness, including a visit to Urquhart Castle and see the Five Sisters of Kintail and the iconic Eilean Donan Castle. 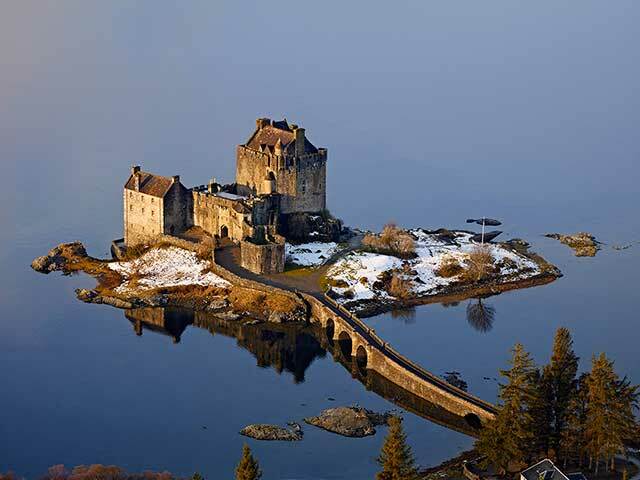 Situated on an island at the point where three great sea lochs meet, and surrounded by majestic scenery, it is little wonder that this castle is now one of the most visited attractions in the Scottish highlands. 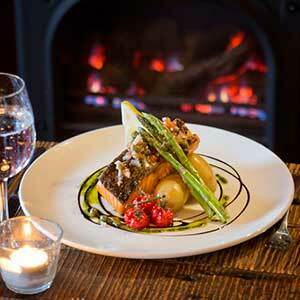 Enjoy a 2-night stay at the Duisdale House Hotel. 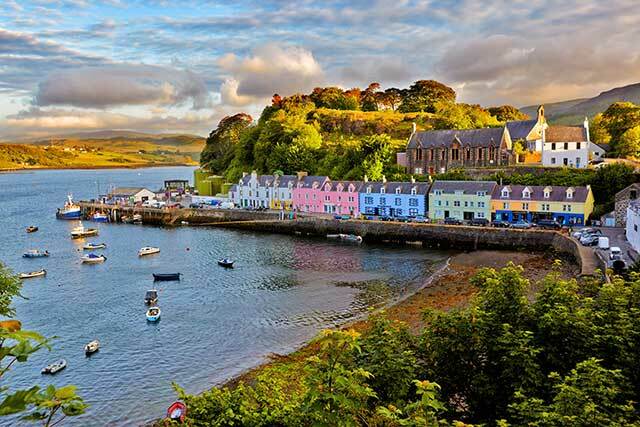 Explore the legendary Isle of Skye, recently voted ‘4th best island in the world’ by National Geographic magazine. Skye is famous for its rugged Cuillins and Quiraing Mountains. Visit the Talisker Whisky Distillery and Dunvegan Castle, and perhaps take a boat trip to explore the abundance of local wildlife; including seals, sea birds, dolphins, whales and more. After a delicious Scottish breakfast, drive south via the Mallaig car ferry and the Glenfinnan Memorial to Bonnie Prince Charlie, to Fort William, dominated by Britain’s highest mountain, Ben Nevis. Fort William is the largest town in the highlands of Scotland and a major tourist center with Glen Coe just to the south, and Glenfinnan to the west, on the Road to the Isles. 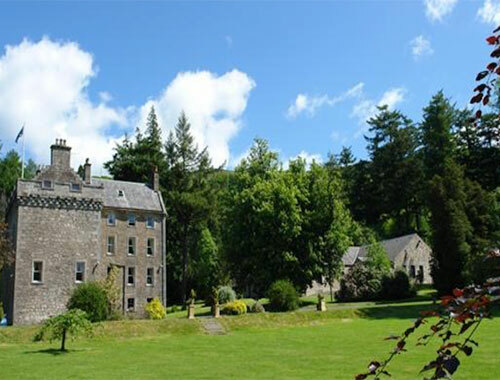 Stay 2-nights at Culcreuch Castle. 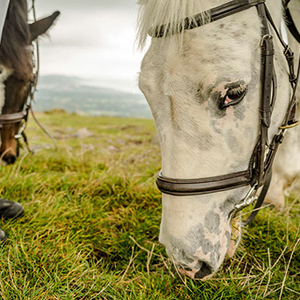 Explore the beautiful Trossachs National Park with over 720 sq miles of National Park to explore and activities such as horse-riding, walking, wildlife watching, cycling, and more. Take a ride on the Lake Steamer, walk part of the West Highland way skirting the loch, and continue on to Stirling and visit the Castle. With splendor, color and glorious craftsmanship, enter the world of Scotland’s Renaissance Kings & Queens. Drive to Edinburgh Airport, return your rental car and prepare for your return flight home to the United States. 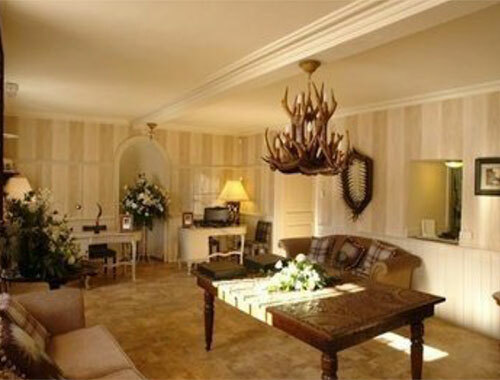 Culcreuch Castle is one of Scotland's oldest hotels with the main hotel building dating from the 14th century. 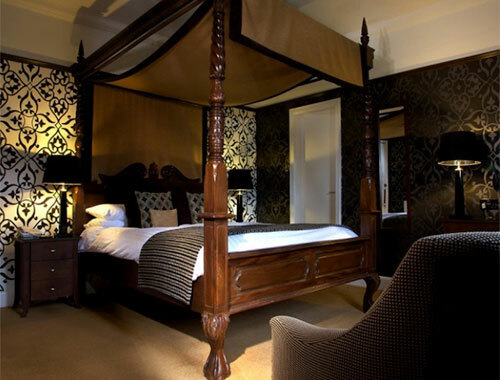 Located near Stirling in Central Scotland, Culcreuch Castle Hotel has been the ancestral seat of the Scottish Clan Galbraith for over 700 years. 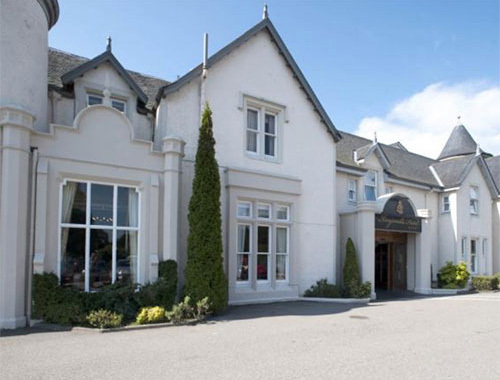 Set in the beautiful countryside of picturesque Scotland within reach of many tourist attractions, Culcreuch Castle Hotel is also accessible for top-quality shopping in nearby Stirling, or the major Scottish Cities of Glasgow and Edinburgh. 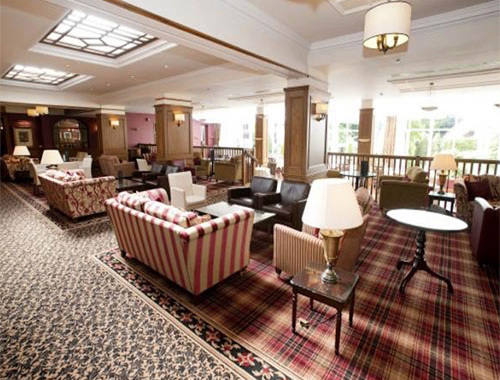 All the hotels common areas are decorated in period style and furnished with antiques, giving the aura and grace of a bygone age of Scotland past. Log fires create warmth and intimacy and the candlelit evening meals in the paneled hotel Dining Room make for most romantic occasions, well complemented by freshly prepared local produce and a carefully selected wine cellar. 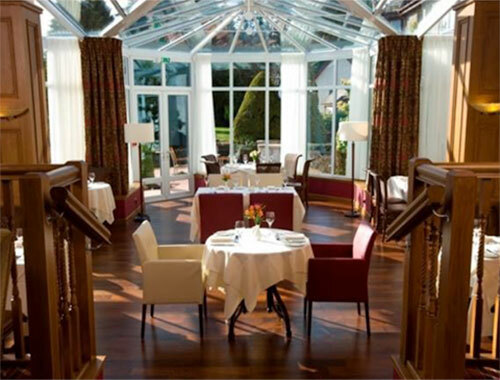 Escape to the beautiful Isle of Skye and enjoy an indulgent luxury hotel break in the Highlands of Scotland at Duisdale House Hotel. Perfectly situated in the area known as Sleat on the southernmost tip of Skye, this Hebridean hotel, built in 1865 as a Hunting Lodge, has been completely transformed into a privately owned chic boutique retreat in recent years, and the award winning restaurant and exclusive daily sailing trips on board our luxury yacht (from April to September) add a whole new dimension to a short break on the Isle of Skye. 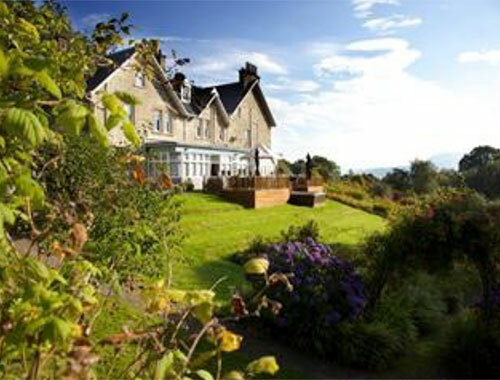 This hotel has just scooped the awards for 'Island Romantic Hotel of the Year' along with 'Island Style Hotel of the Year' 2014 from the Scottish Hotel Awards. 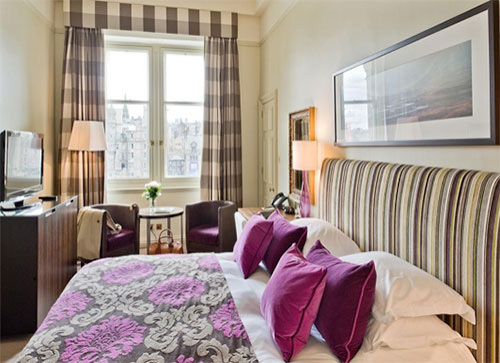 Edinburgh is the jewel in Scotland’s crown and at its heart lies The Balmoral hotel. 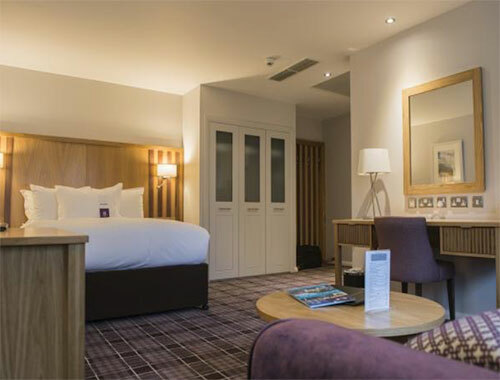 Located at 1 Princes Street with views of Edinburgh Castle, the Scott Monument and Arthur’s Seat, the skirl of the bagpipes is always within earshot. This hotel merges contemporary styling with elegant tradition, like the colors of a fine tartan weave. 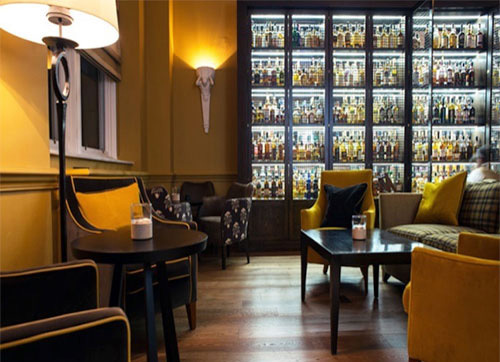 It’s a place where you can enjoy Michelin-starred dining at our ‘Number One’ restaurant and discover over 400 whiskies in our Scotch bar. 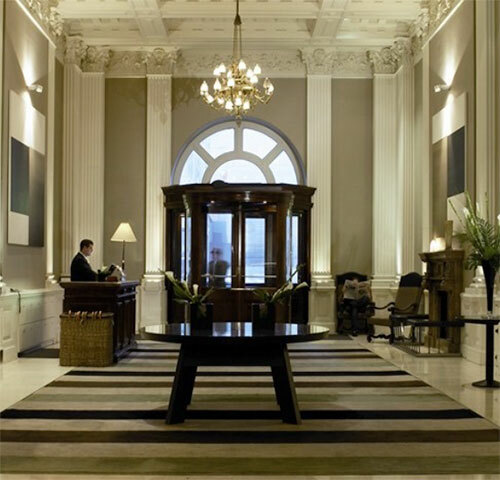 The hotel’s kilted doormen will guide you across the threshold of the finest 5-star hotel in Edinburgh. 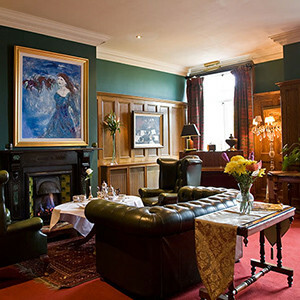 Their Concierge will guide you towards Edinburgh’s modern boutiques and bars, theatres and museums.